Still hesitate about starting a personal blog because of a skill gap? No worries, though. Save your regrets for later. We’ve got you covered. With these top 15 personal blog WordPress themes, we can help get you started. You know what, there’re millions of reasons to start blogging. And there’re many people who spend their valuable time thinking whether it’s worth it or not. The truth is, the longer you wait, the more competitive your blogging niche gets. So, no more wasting time. Enroll now. Besides, there are no real reasons what to be afraid of. Well, most of us aren’t professional web designers, right? Yet, we live in the digital era with a ton of innovative tools that make our lives easier and more comfortable. Indeed, WordPress is one of them. The reality is that WordPress allows you upload a dress for your website instead of design it. The best part is that there are really many beautiful WordPress themes available for you to grab. And this can be a great way to get started. Thus, you save a ton of time and money, of course. So, probably one of these top 15 personal blog WordPress themes is calling your name? Why Choose WordPress for Your Personal Blog? You know what makes WordPress even cooler? Well, it offers you fantastic opportunity to customize your personal blog as per your liking. Moreover, no matter what device your visitor is on, your website will deliver a perfect user experience. Besides, you can expand the functionality of your personal blog using various custom plugins and widgets. And that’s only the tip of the iceberg! There are so many things you can do give your business a leg up to succeed. Besides, while you’re still here, don’t forget to check for more sleek WordPress themes and make your pick. Have fun! 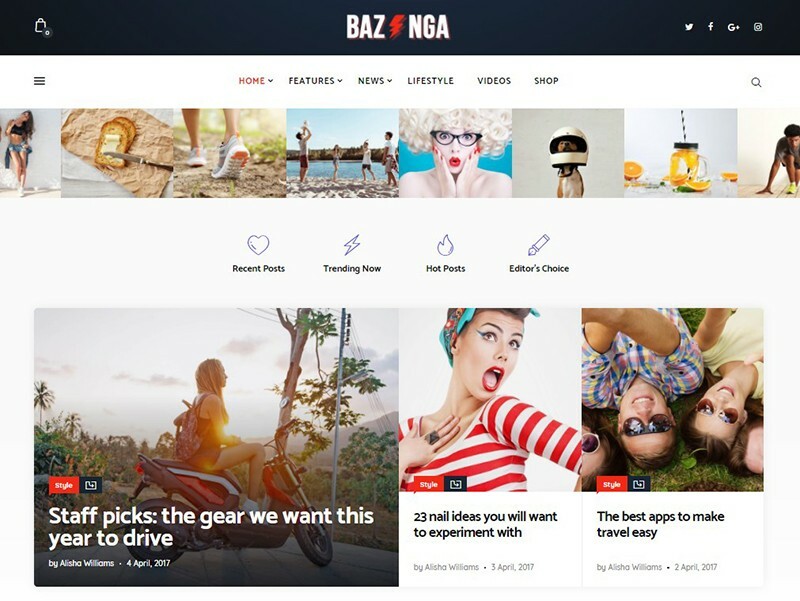 Take a look at this clean and nice WordPress theme well-suited for any kind of news portal, magazine or viral blog. It comes with 3 different homepages, various blog post layouts, Instagram Feed support, etc. Moreover, compatibility with popular custom plugins, shortcodes and widgets makes it extremely easy to set up and customize it. Besides, your website will look sharp on all modern devices and screen sizes. Did we mention that the theme is SEO-friendly, WPML ready and cross-browser compatible? Enjoy. Here’s another clean WordPress theme that fits well for personal or lifestyle blogs, online magazines or other websites. Enjoy the variety of customization options available to draw a visitor in for a good cause. Its clean and fully responsive layout performs smoothly on all last-generation devices. 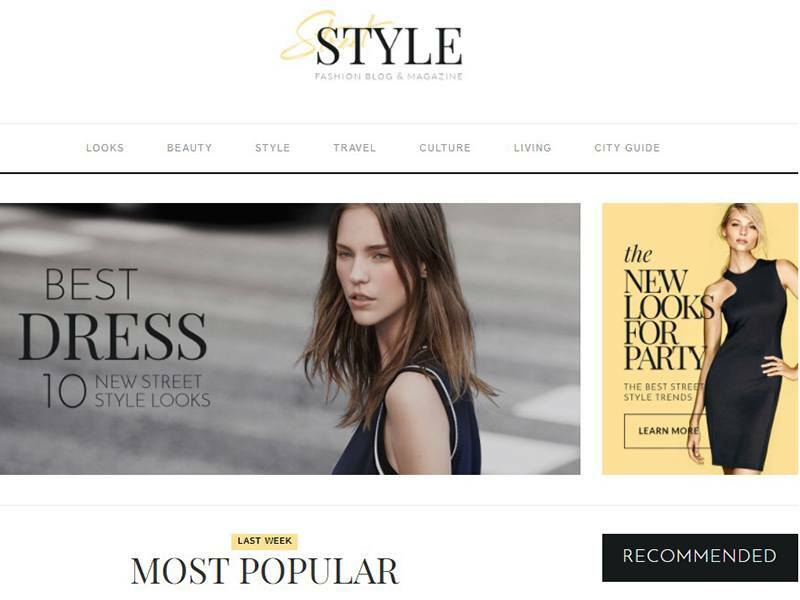 Create incredible web pages dedicated to fashion, travel or lifestyle without the headache of any coding. Thanks to the hot spot system, you can display annotations on your image in a trendy way. Enjoy super fast page load. 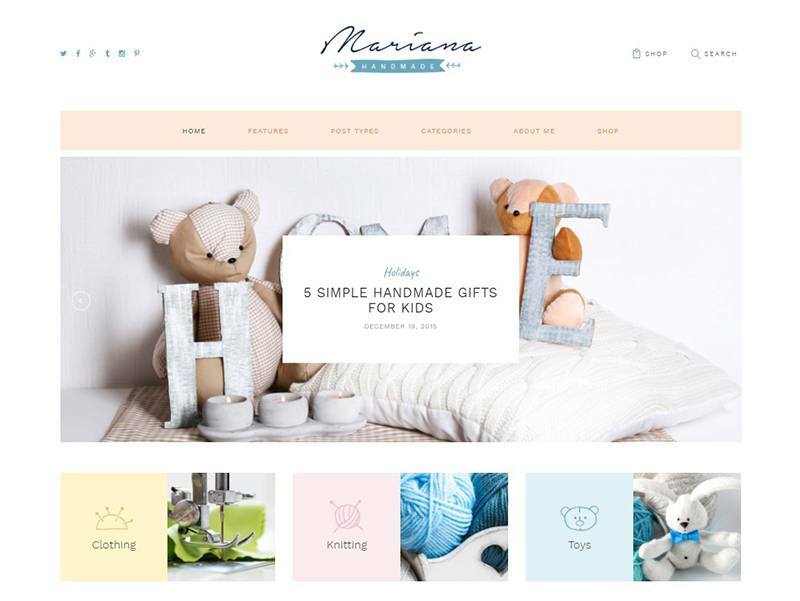 Get one of the best specimens of top 15 personal blog WordPress themes with Mariana. A modern, sleek and easy-to-use theme can do wonders to your handmade, personal or lifestyle blog. With WP Live Customizer, do everything in your power to make your blog stand out from the competition. Choose between different blog post layouts, multiple color schemes, a variety of custom widgets and shortcodes and other powerful options. Relax and let your stress melt away with this professional, responsive and WooCommerce ready WordPress theme. 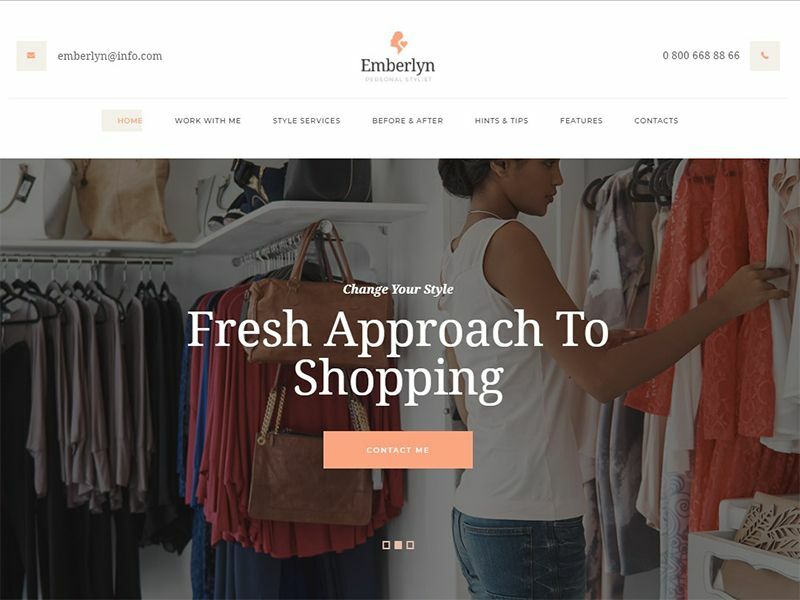 When you need fresh thinking for the launch of your new fashion or personal blog, Emberlyn is the theme to trust. 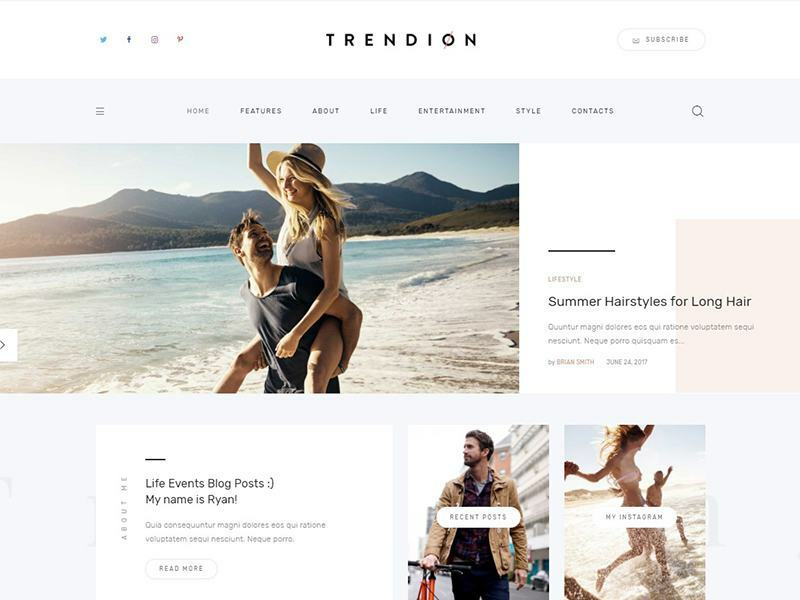 This user-friendly theme suits well for fashion designers, online magazines, personal shoppers or lifestyle bloggers. Ready to take things into your own hands and create a professional blog that impresses? Enjoy its fully responsive layout on a variety of modern devices. Use this SEO-friendly, Parallax and WPML ready theme to your benefit. Besides, it’s compatible with Visual Composer, Revolution Slider, and Booked Appointment plugins. Wanted is a modern and responsive WordPress theme dedicated to personal blogs, CV, resume, review portals or online magazines. So, if you’re a designer, photographer, fashion or lifestyle blogger, Wanted is worth your attention. Built on the powerful ThemeREX framework, the theme is highly functional and easy to operate. It couldn’t be any simpler to use a powerful set of shortcodes and widgets to showcase your skills and achievements in the best light. Thanks to WPML support, your theme can be translating into multiple languages. Have fun. 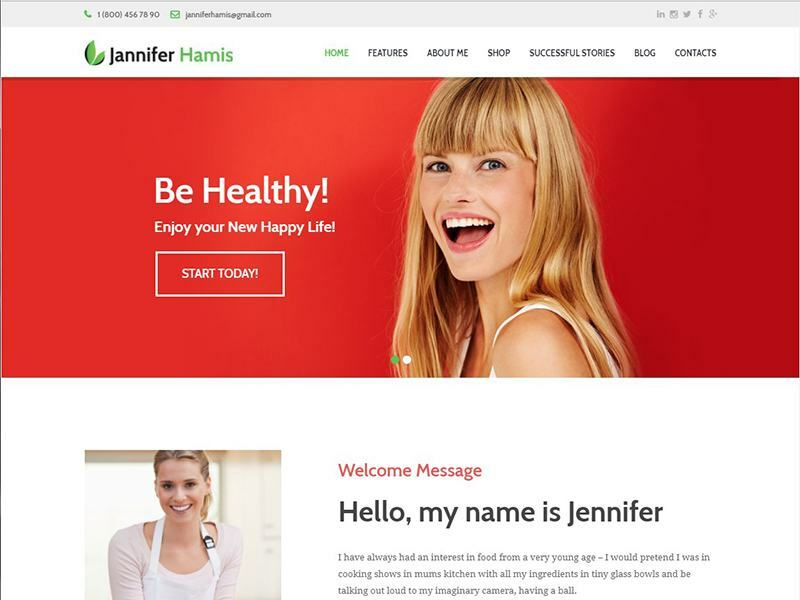 Don’t miss out Cindy J which is a nice specimen of top 15 personal blog WordPress themes. Create an eye-catching website and lull your visitors into a powerful desire to explore it for more. No need to invest a ton of money into the creation of the powerful website. Grab the opportunity to stay abreast of what is happening in your industry. The theme features 4 demo layouts, 4 predefined color schemes and 6 beautiful blog post layouts. Plus, it includes ThemeREX Addons, CV Card functionality and a bunch of custom widgets and shortcodes. Take joy in. 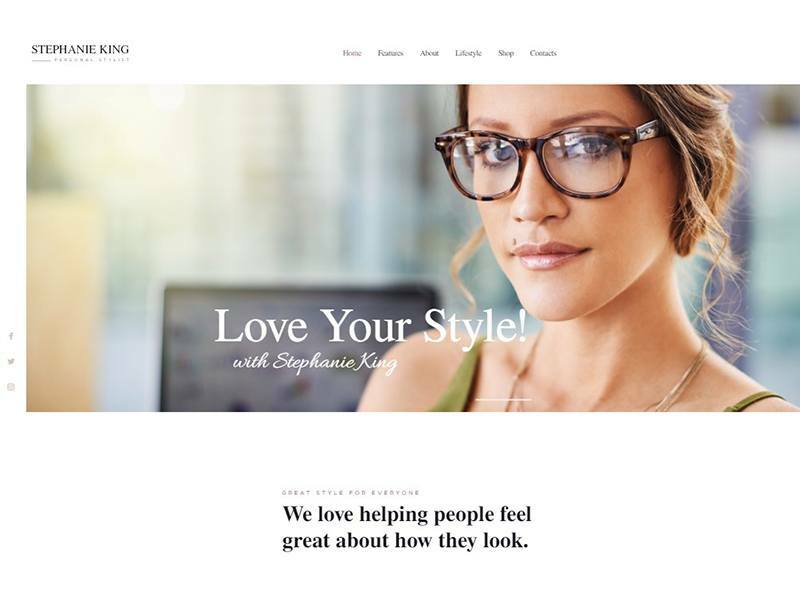 Designed in a trendy style, S.King can help get your blog get started. Get people to pay attention to your personal or fashion blog by demonstrating its benefits. Make your visitors happy with your faster personal blog. 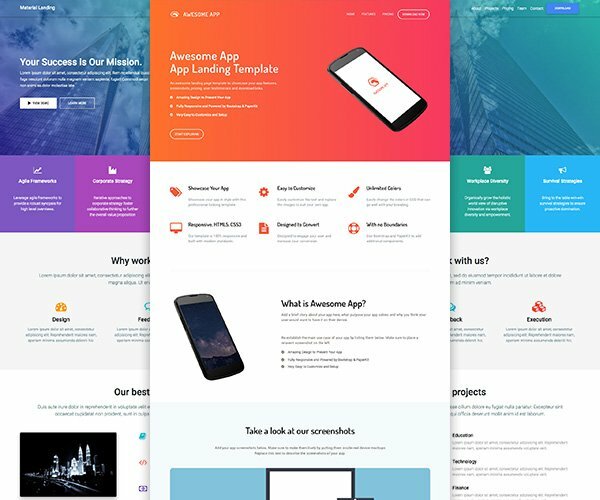 Compatible with Visual Composer, Slider Revolution, Essential Grid and other plugins, the theme can help achieve your every desire. Besides, it’s WooCommerce ready, so you can start selling products or services in a matter of five minutes. Explore the power of this SEO-friendly theme today. What if we tell you that creating a blog is as simple as that? Definitely, with Wonderer, you can start a nice and impressive blog even with a skill gap. You know what makes it even cooler is its fully responsive design that adjusts smoothly to all screen resolutions. 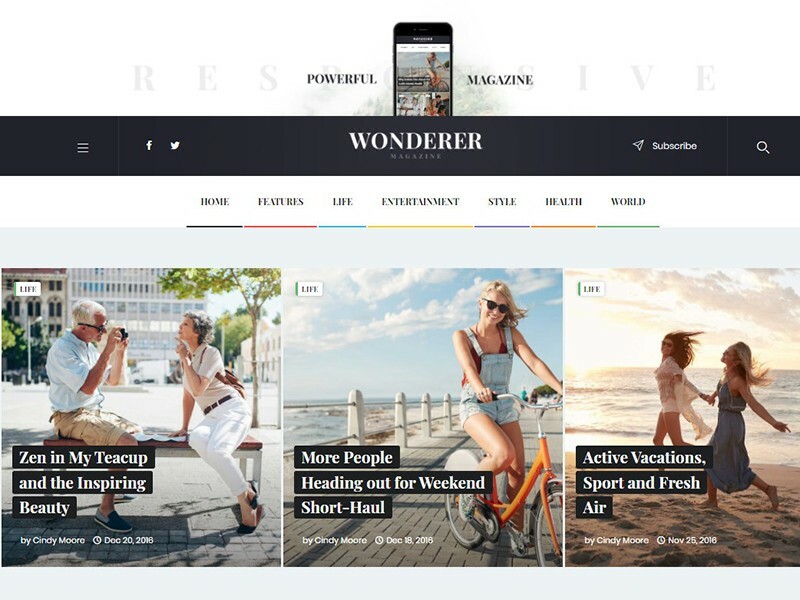 Wonderer suits well for blogging, online journal, travel guide, health blog or review portal. Customize your theme without writing a single line of code. Enjoy a number of diverse blog layouts, extra fast page load, and a plethora of other functions. Make a compelling case with Wonderer. Are you into a fashion blogging? Then Fashion Guide is just the thing for you. Its clean and responsive layout allows you create visual impressions that stick in the minds of your viewers. The theme is WooCommerce ready, so you can start selling clothing and fashion accessories in no time. Spread the word out about your new fashion blog using Instagram Feed and MailChimp support. Don’t forget to enjoy the theme’s live demo. There’s a myriad of ways you can use to capture the attention of your website’s visitors. Crafted with care, this specimen of top 15 personal blog WordPress themes can turn the spotlight to you. 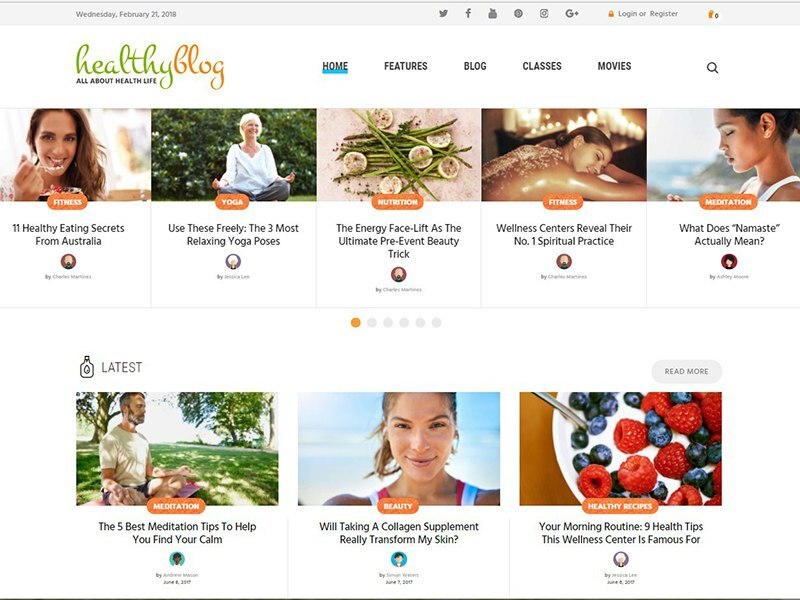 This clean theme fits well for personal health coaches, trainers, diet and nutrition consultants, recipe blogs and healthy shops. It includes lots of customizable features, intuitive interface, and a fully responsive design. Thanks to compatibility with Revolution & Swiper Slider plugins, your website will be fully touchscreen-friendly. Besides, the theme is SEO-friendly, WPML and WooCommerce ready. 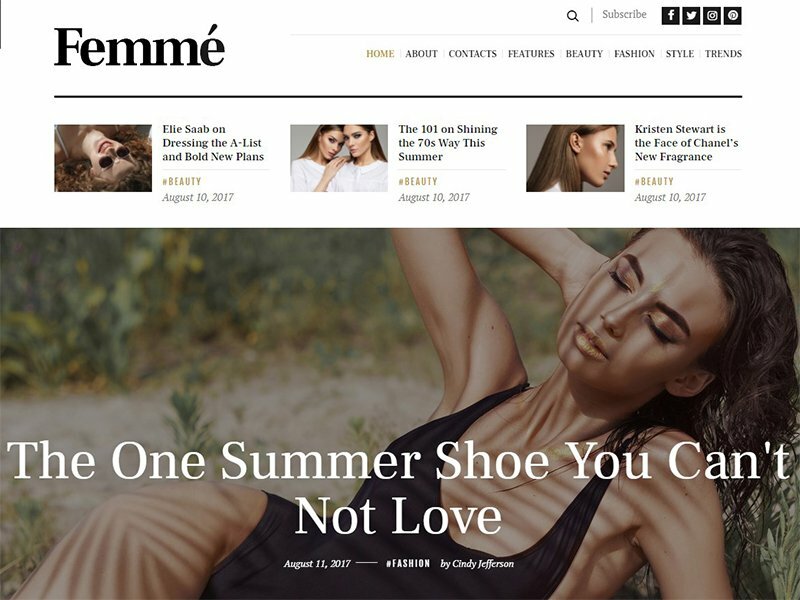 Femme is a true bounty for those who like clean, simple and easy to navigate websites. Its beautiful design will definitely satisfy any fashion blogger or fashion editor. Start selling fashion and clothing accessories in a matter of five minutes thanks. What’s the secret? Well, Femme is a WooCommerce ready theme. Enjoy a big number of customization options and features that can enhance the functionality of your website. Lull your visitors into a sense of beauty and health. Be entertained. 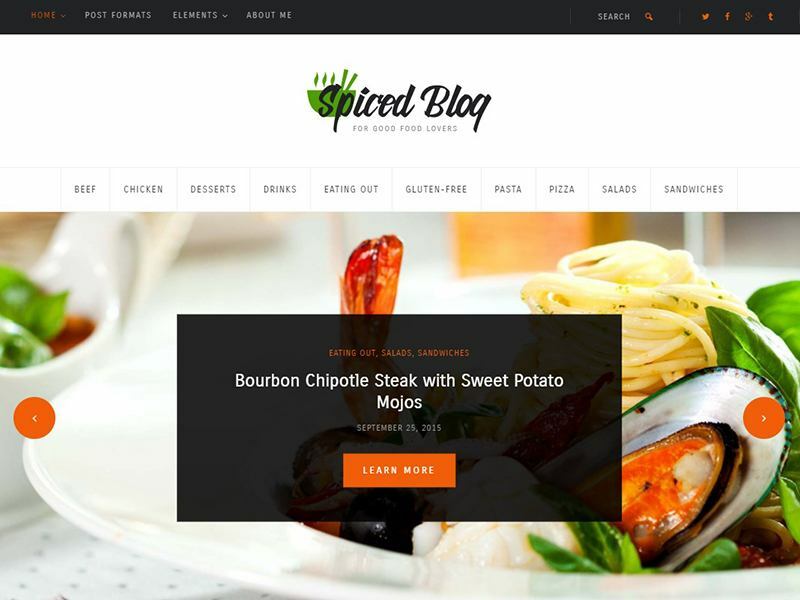 Take a look at this clean and attractive WordPress theme tailored to food blogs, food photographers, cooking and recipes websites. Establish an emotional connection with your website’s visitors. 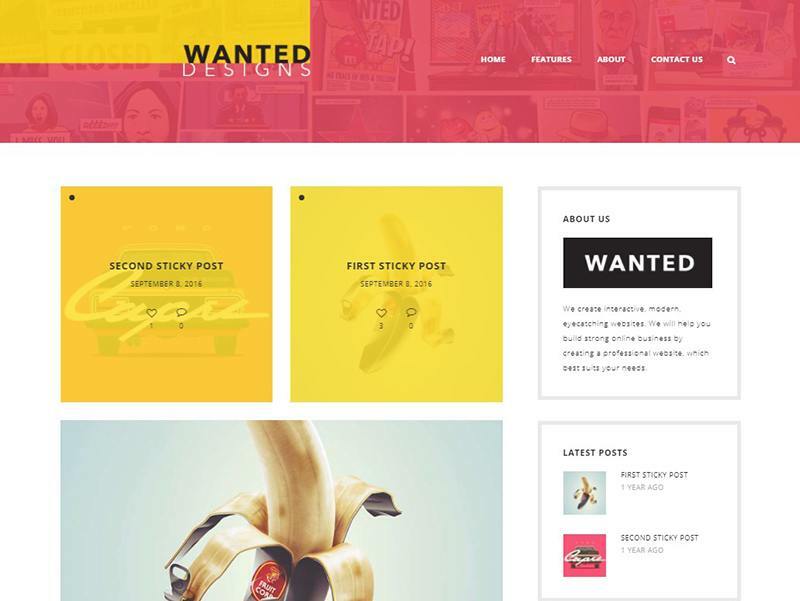 Experiment with theme’s layouts, color schemes and styles to design a blog that stirs emotions. Moreover, it features Recipe Card WP plugin, MailChimp integration, and the Post Like system. Pick this great or better said the perfect solution that can grow with you. For a long time. Not sure where to start? Take a look at this representative of 15 top personal blog WordPress theme that can help get the things done. Created to serve as a lifestyle, healthy living blog or a food blog, you can adjust it for any other website you may need. Designed in a light and fresh style, this feature-rich theme offers fantastic opportunities that go above and beyond. Tweak the overall look of the theme without writing a single line of code. Make your visitors feel special when they land on your site by chance. Explore its power. 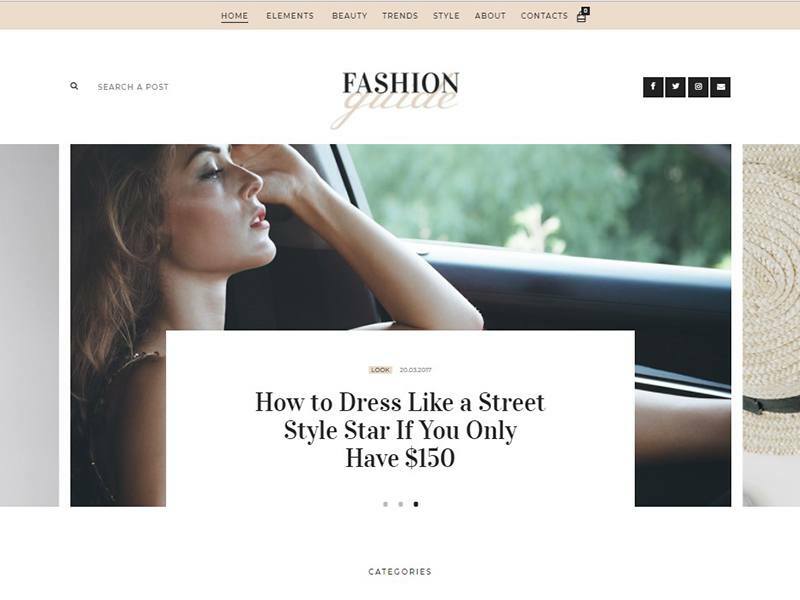 You’ll like this sleek, modern and beautiful WordPress theme crafted for personal, fashion or lifestyle blogs. Its clean and fully responsive design will look awesome on any modern devices and screen sizes. Don’t waste your valuable time on coding. Create an impressive design that can motivate your visitors to stay with you longer. Even with a skill gap, you can create new unique page layouts that can cause conversions. Did we also mention that the theme is SEO-friendly and compatible with several popular plugins? 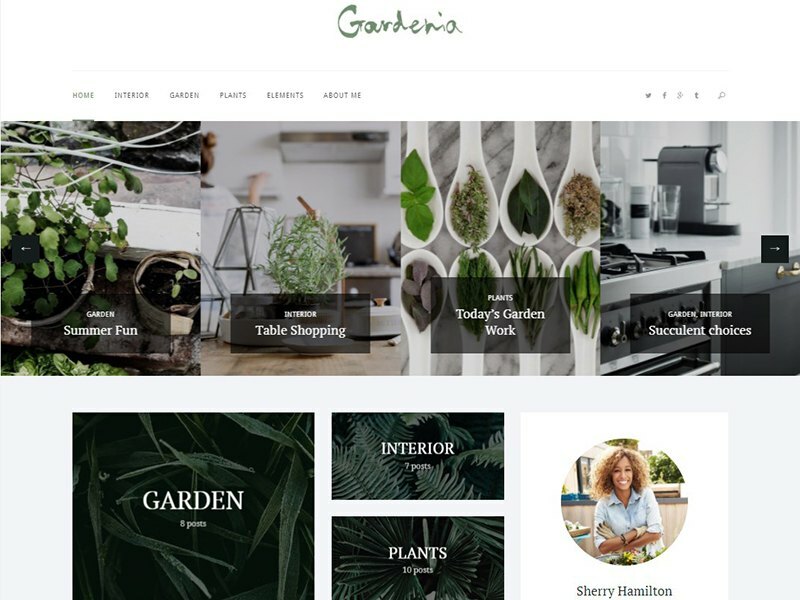 This clean and attractive WordPress theme suits well for gardening, landscape design or houseplants websites. 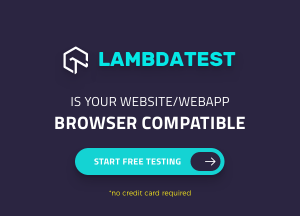 Wish to redesign your site? Gardenia is the theme to trust. Configure your theme in no time to create new impressive layouts that stick in the minds of your site’s visitors. Besides, it comes with Instagram Feed, MailChimp support, video integration, and SEO-optimization. Help your gardening o landscaping blog flourish in the best way possible. Plus, your visitors will appreciate how sharp your website looks on their mobile devices. That’s it for top 15 personal blog WordPress themes for today. Turn your joy for blogging into a profitable business. Which one is calling your name? Have you already tried any of these? Please share your experience and thoughts below. Stay tuned for more.